Lottomatica was licensed as a service provider while Sartini Synergy was licensed as an operator by the Nevada Gaming Control Board. Earlier this month these two companies had been granted a preliminary approval by the Nevada Gaming Board. 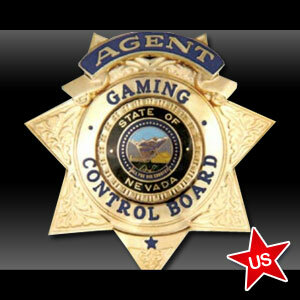 This allowed them to participate in the Nevada intrastate online poker scheme. Lottomatica is an Italian-based brand with worldwide subsidiaries; including GTECH and Spielo. It has its US headquarters in Las Vegas though its main headquarters are in Rome, Italy. Its subsidiary, GTECH, is headquartered in Rhode Island. Lottomatica announced yesterday that it will be changing its name to GTECH and re-branding throughout 2013. This name change will have to be approved by its shareholders before it gets rolled out. Most online poker players refer to Lottomatica as Boss Media, which runs the International Poker Network also known as IPN. Many companies also use their casino software. Lottomatica was allegedly involved in a software scandal stating that GTECH and Finsoft distributed suspicious software to different online casinos. According to analysts and players, the software was not dealing cards randomly in some games. The whole scandal started when a player lost €12,000 and started a thread at Casinomeister. After an investigation, it was determined that subsidiaries of Lottomatica were distributing Hi/Lo Gambler, which was found to be a rigged game. The same player who exposed the suspicious software was caught multi-accounting in the same casino. This company is a subsidiary of Golden Gaming; which has different subsidiaries such as PT’s Entertainment Group and three casinos in Nevada. Golden Gaming owns Golden Route Operations which is the largest slot route operator in Nevada. Golden Gaming has slot operations running in over 600 locations in the Silver State. This accounts for approximately 45% of the slot machine market in the state. The addition of these two brings the number of licenses issued by the Silver State gaming officials to 19. These are part of over 36 companies which applied for licensing. The first ones to be licensed in Nevada in June 2012 were Bally Technologies, William Hill Group and Internet Gaming Company. Over the last 6 months, the review commission has been very busy conducting the two-step reviewing process. Poker players have been waiting with bated breath for a legal U.S. online poker site. Many experts believe that the launching of such a site is long overdue. Legislators in Nevada hope that these poker sites will be added to their player pool. Recently, a new bill has been drafted that would allow the governor to authorize online gaming compacts with other states that have also passed favorable internet gaming legislation. Currently, only Delaware is in this list although legislators in New Jersey have passed an online gaming bill, which will soon become law if there is no veto from Governor Christie. Mississippi and California have also introduced similar internet gambling bills. Experts project that more states will join this movement. Right now the license for Sartini Synergy and Lottomatica by the Nevada Gaming board is a welcome move. We are eagerly waiting to see which company will be licensed next.